That’s a harder question than it seems. Not every paddler has the same kayak, we all fish varying water types in different conditions, we have different physical characteristics, and have differing financial resources. The first place to check is your local kayak shop but if you don’t have one near you, I’ll try to give you the full run down and leave you with some recommendations. Folks, this is the engine to your kayak! The paddle can make or break the experience but it is often thought of as, well, an afterthought. I’ll tackle a few tips and techniques for choosing a paddle here but the important thing is, go try one in the water if you can. Demo days aren’t just for kayak demos. Try out the paddles too. If you can’t make a demo day, try out your fishing buddy’s paddle. I know it’s not always a possibility so I’ll give you some checklists to help narrow your decision sight unseen. Paddle length is tricky but maybe this will help. Find a paddle at a shop and stand with it at your side vertically. Now reach up with one hand and curl your fingers around the top of the blade. If the paddle hits you in the palm, it’s probably a bit short. If you can’t reach the end, too tall. But hang on! Keep reading. Take into consideration the width of your kayak. If you are in a boat wider than 30 inches you need to bump up a size from the stand and reach test. 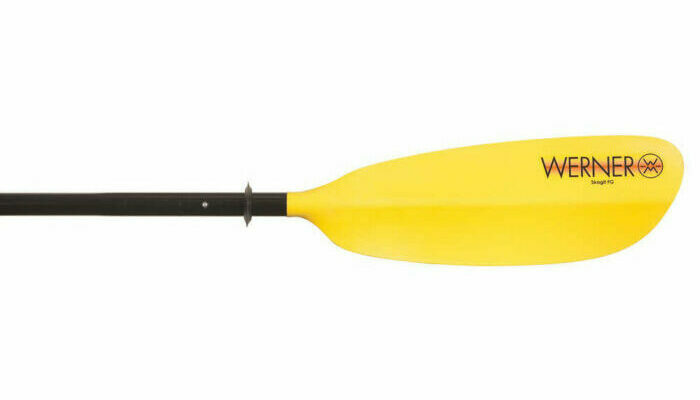 Paddles are typically measured in centimeters and range from 210cm-290cm and usually by 10cm increments. At 6’2″, I need a 230cm paddle, (monkey arms, I know), but I also paddle two wider kayaks at 31″ and 36″ so a 240-260cm is really best so I don’t spend all day playing the drums on the side of my yak with my new paddle. I typically add inches if the kayak I am in will be paddled from a high position. Here is how I do the math. Take your stand and reach length and add 10cm for kayaks between 30-32 inches in width, 20 cm for 33-36 inch wide kayaks, and 30cm for 37-41 inch wide kayaks. If your kayak is going to be in an elevated seat position most of the time, add 10 more cm. Example: My stand and reach test puts me at a 230cm paddle. I paddle a Bonafide SS127 which is 33.5 inch wide kayak so I need to add 20cm which puts me at a 250cm. IF I were to fish out of it from the high position I would add 10cm more but since I am rarely in the high position, I use a 250cm paddle. There are basically four categories of blades. You have wide and flat blades, narrow and flat blades, wide and scooped/winged blades, and narrow and scooped/winged. Variations are all over the board for these but two things are needed to decide properly. The wide blades are going to give you more power. They move more water and can allow you to turn faster, accelerate in choppy water better and fight the weather. These work great for fishermen because of their versatility. They also work better in wider boats, which are typically heavier and require more to move them. Narrow blades are more efficient. If you are paddling more than 2-3 miles in a day you might think about this option. Just understand if you are in a big, heavy, wide kayak, the advantage of the more efficient paddle is nullified. The decision about a flat blade versus scooped/winged blade is up to you. Sides are split as to added efficiency etc. I will say however that a flat blade is typically more durable for fishermen when used as an alternative to a push pole. Blades and shafts can be made of aluminum, plastic, carbon fiber, fiberglass, wood and a host of blends. Carbon fiber is lighter and can reduce weight for a long day on the water. Aluminum and plastic are durable but usually heavy. These are also cheaper alternatives and what most folks will be using on the water. Nothing wrong with that! Just understand you will work harder throughout a day than you would with a carbon fiber paddle. Why Does Weight Matter in a Kayak Fishing Paddle? Typical paddle weight is anywhere from 20 to 42 ounces. It doesn’t seem like a ton of range but after a few thousand strokes, your shoulders and back will let you know the difference. Lots of us paddlers who have more than a decade in the seat of a kayak can tell you shoulder (and rotator cuff) fatigue are real and become apparent in bad conditions. On a flat day with no wind and no current, you could use an old canoe oar and get it done. 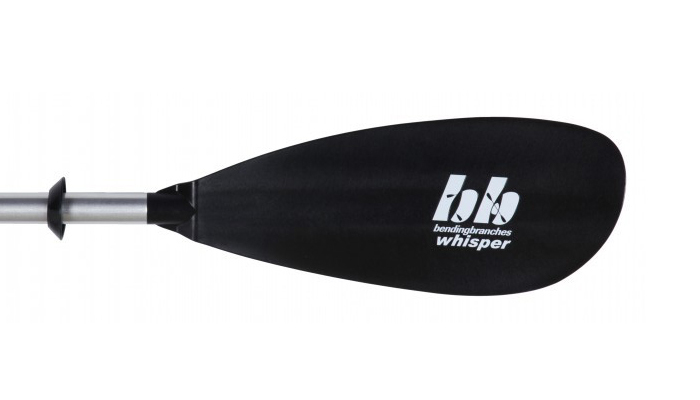 When the winds get up and you hit current, I recommend the lightest, most durable paddle you can find for your situation. Durability and light are usually not synonymous with cheap or affordability so this is a decision that needs to be weighed carefully. Some Paddles Cost $29 and Some $400, Why? So many variables exist when you talk cost. All of the things mentioned above will play into it. Paddles range from $29 to infinity. There is a huge difference between that Academy $29 paddle and a $399 paddle from a name brand. There is much less difference between a $300 paddle and a $700 paddle as far as performance, materials etc go. The sweet spot for a very nice paddle is usually above $150 but you can find some surprises for less than $100 which I’ll get to in just a second. 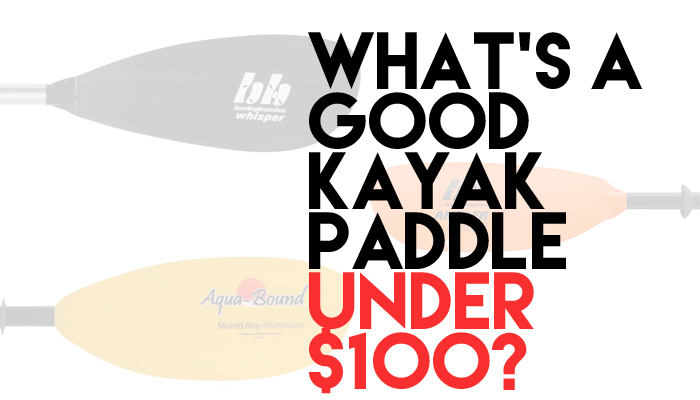 $100 is an interesting price point because very few major paddle brands offer a lot of paddles in that segment. Most of the paddles you see under $100 will be relabeled name paddles like Magellan which are made for lots of stores and called different things, Carlisle (a big box store staple), and kayak branded paddles like the FeelFree or Hobie paddles. The things I dislike about these paddles are their weight (almost all 39 ounces or more) and really inefficient paddle blades. When a paddle blade has a bunch of flex, it wastes energy meaning you have to work twice as hard to cover the same distance. I often refer to this as a loss of efficiency. All three of my recommended paddles are less than 39 ounces and have an efficient blade with less flex. 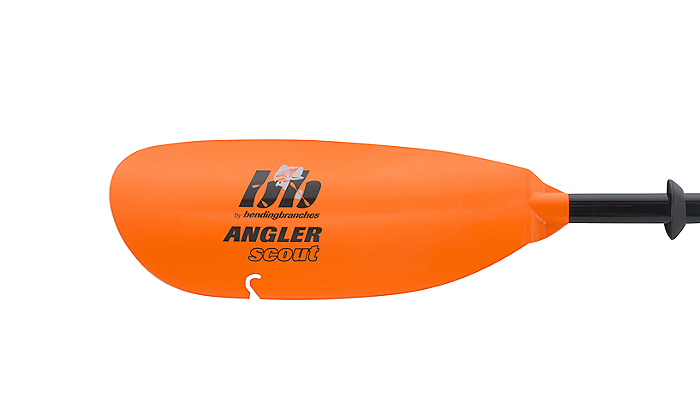 IF you are able to stretch your budget, the market of really good performance paddles for kayak fishing opens up considerably between $100 and $150. 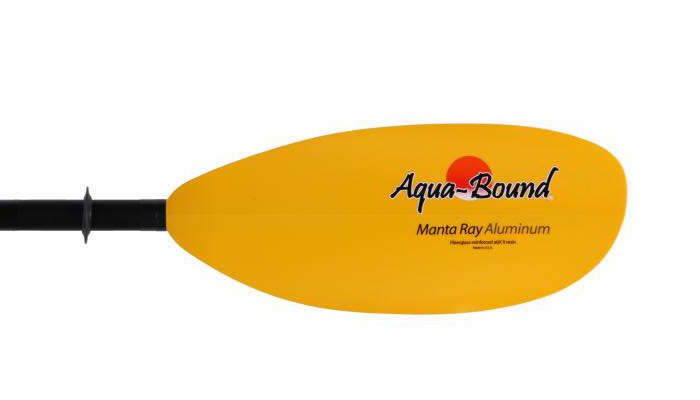 You’ll be able to see different offerings from Bending Branches, Aquabound, AT Paddles, Werner, Accent, Cannon, and more. Make sure to double check the math and get a kayak paddle that’s the proper length for your kayak and situation.